Blurb Description: Seventeen-year-old Alice and her mother have spent most of Alice's life on the road, always a step ahead of the strange bad luck biting at their heels. 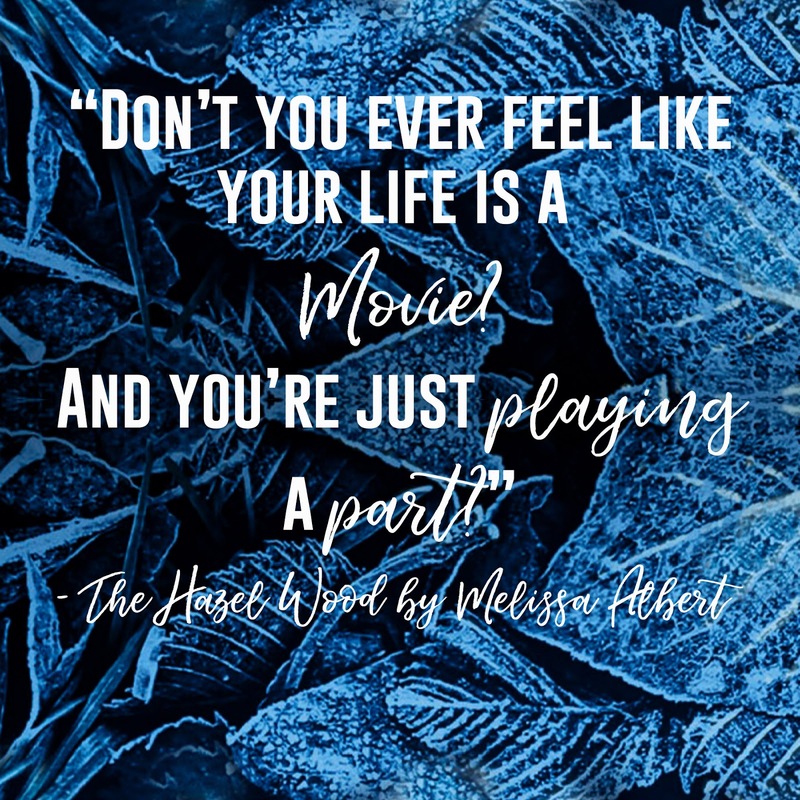 But when Alice's grandmother, the reclusive author of a book of pitch-dark fairy tales, dies alone on her estate - the Hazel Wood - Alice learns how bad her luck can really get. Her mother is stolen away - by a figure who claims to come from the cruel supernatural world where her grandmother's stories are set. Alice's only lead is the message her mother left behind: STAY AWAY FROM THE HAZEL WOOD. To retrieve her mother, Alice must venture first to the Hazel Wood, then into the world where her grandmother's tales began . . . Going into this book, I honestly did not know what to expect. I’m so much more of a fantasy fan than horror/ mystery (which I THOUGHT this book was about – it wasn’t.) Yet EVERYBODY I knew was RAVING about this book and I knew it would be one I’d read. Soon. As I sit on the other end, having absolutely DEVOURED this phenomenal debut novel, I AM IN AWE. The hype, my fellow bookworms, IS REAL. 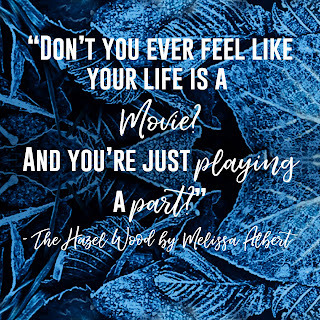 Melissa Albert brought to LIFE the words ‘Dark Fairy Tale’ with stunning writing and a world filled with Stories, consequences, revelations, twists and it was a whole new experience, reading The Hazel Wood. 1. The Hazel Wood started off in the normal world, slowly introducing us to Alice, the protagonist and her life. We’re introduced to her mother, Ella, Finch, the boy who has everything but is battling his own loneliness and slowly, by the time we’re halfway through, we’re introduced properly to the insanity that is the Hinterland and every kind of Story and Creature that comes with it. 2. The world building and the writing complemented each other SO WELL. It was this dark world, that had all kinds of fairy tale creatures coming out of the woodwork at all times and I LOVED THE ATMOSPHERE OF IT ALL SO MUCH. 3. I absolutely loved Melissa Albert’s characters as well. Alice was headstrong, feminist and honest. Finch had a kind but broken heart and a head filled with fairy tales. I also loved Ella, Alice’s mother, and I love the to the ends of the earth for each other, whatever the consequences relationship they had and I WISH we had seen more of her throughout the book. 4. CAN WE ALSO TALK ABOUT HOW ABSOLUTELY STUNNING BOTH THE U.S AND THE U.K COVERS ARE? It captures the delicious creepiness of this book and I love it so much. This book was NOTHING like I expected it to be – it was so much more. It was flawless, in every sense of the word, dark but in a fairy tale kind of way and the characters were so realistic. I honestly cannot believe I EVER had doubts about this book and I NEED THE SEQUEL. The Hazel Wood was, in all honesty, a perfect combination of dark fairy tales, impressive world building and breath-taking writing in a dark, atmospheric world and I was HOOKED on it. 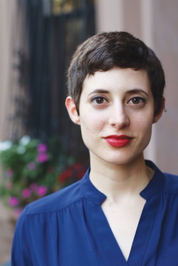 Melissa is the founding editor of the B&N Teen Blog and an editor at B&N Reads. She reads books, worries about strangers' dogs (they look thirsty), and gets mad at people who block the escalator. You can find her on Twitter @mimi_albert. What are some of your favourite book inspired by fairytales? 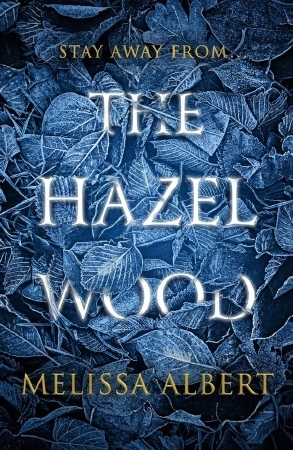 Have you read The Hazel Wood? What do you think of it?